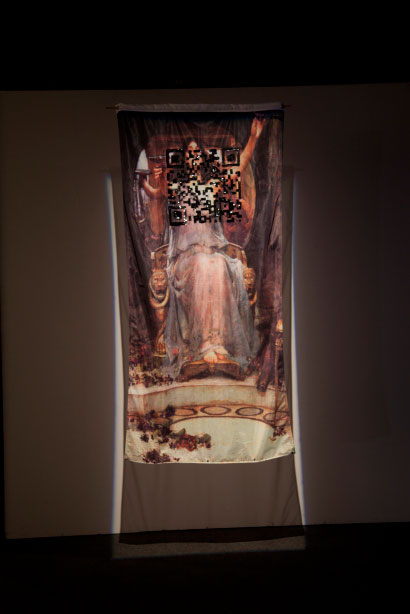 "The clue lies there...symbols of the divine show up in our world initially at the trash stratum". A mirror, a bottle of oil, odds and ends, shells, leaves, duct tape, charm bracelets, flowers, feathers, stones, berries, discarded plastic items, coins, dice, marbles, nails, rifle shells, or pieces of glass. Bits and pieces that are usually prone to healing, auguries or tokens for predictions, occult gizmos, drug paraphernalia, spells and general equipment to bring you great personal wealth, often through playing lotteries or other games of chance. A paint brush, paint, an old keyboard, danger tape, children's dance costumes, tutus, a plastic fork, a lipstick, a cordless drill, hardware, software, phishing for lines of html, an old radio, a light seeking robot, a plastic old container made into a makeshift camera. 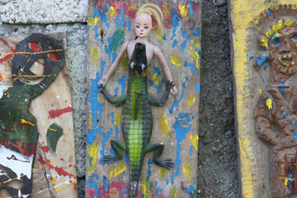 Artwork of the children from Artis Resistanz, Grand Rue, Port-au-Prince, Haiti. 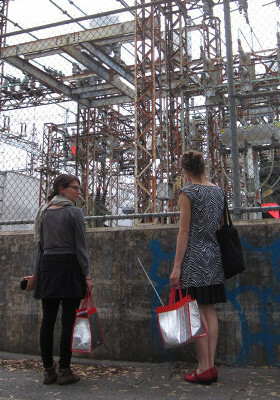 Electric Theatric Operation from sister0 on Vimeo. Not unlike a native Australian bower-bird who collects particular hues, bibs and bobs for its nest, I collect threads and vibrations from this momentous repository of knowledge, as well as from the aether around me; continually articulating and weaving these threads together in new combinations 2. Paraphernalia combined produces some sort of transgressive power. It is undeniable that mutant taxonomies, sub-set objects and their -actual- function is positioned as questionable, dubious or taboo in the contemporary public domain. 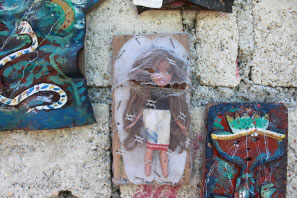 It is commonly adopted and used for Vodou 3 purposes, where found objects are transformed into personalized talismans. Whatever the purpose or function, paraphernalia appears messy, futile or secondary. In reality they reveal essential life processes, by enabling one to experience vital operations from beneath the surface – be they a medium, a code or mechanism. Paraphernalia are intrinsic to dynamic modes of experiential learning and socio-centric living. This practice resonates in manifold ways because people understand the world in many different ways, and therefore I advocate that design problems (artistic, conceptual, hardware and software) are best understood using a tangled web of both mythical and logical modes of understanding. I make a point to honor mythical thought that is intrinsic in the notion of bricolage, because I am a complex sensory interface and indeed a variant of others around me; my ancestors who came before me. The artistic practice that I utilize which combines many elements (sequined QR codes on Vodou flags, petals in dirt, pink dresses, dissected computers, old dolls, hacked game pads, sensors embedded in plush toys, dancing in front of digital fireplaces, divination sticks to recode hearts) and paraphernalia, it gives these objects a re-newed meaning, extending the one for which they were originally intended. general validate initiatives that inspire waste redirection and re-use of unwanted surplus are all examples of initiatives rooted in efforts from Tasmania and that are in the spirit of bricolage. While I am interested in the aesthetic and not the superficial level meaning with regards to the notion of paraphernalia, but, when paraphernalia becomes a sensitive object, it can also be a talisman that _ among other things _ controls and triggers. Charms, may relate to a pact between a mortal and a deity. In response to all of these thoughts, I develop characters within my artistic practice and using them, often customize or hack surplus cultural goods I have named Interface Device's (HIDs) as performance tools for real-time use. 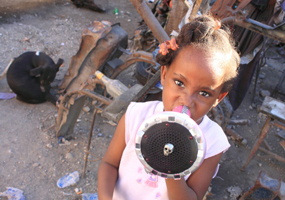 One project I call *paraphernalia* is a performance that incorporates unusual objects commonly seen as useless trash. I take paraphernalia and transform it into a theatrical prop that functions as a tactile visual and sonic emulator. 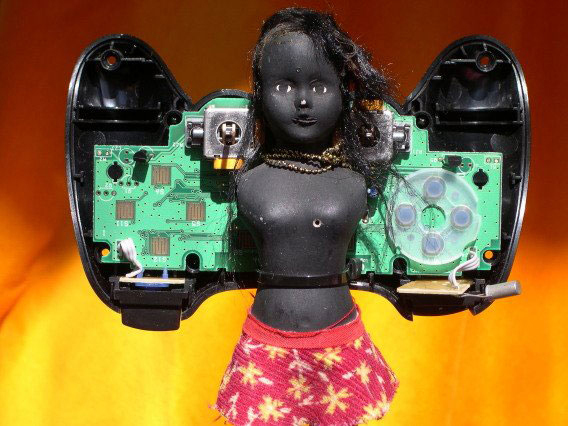 In *paraphernalia*, I embedded dolls and curiosa with 2.4ghz wireless game-pads, then soldered analogue motion sensors to the circuits to create an ethereal sound scape, like a radio transmission coming from _elsewhere_. 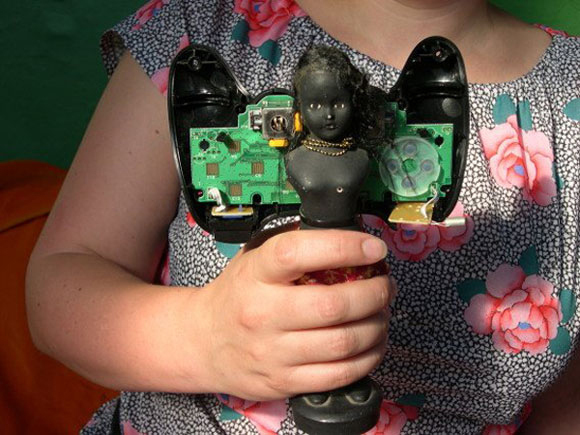 In the picture above we see a doll that I found in a market in Sydney about 15 years ago. Despite (or maybe because of) its neglected condition, I was so enchanted I never threw it away. In my travels I carried it around with me. These HIDs are implemented with Pure Data, a live processing tool programmed to switch through soundtracks, trigger voice effects (FX) and cause glitches, triggered by the information coming in from motion sensors. In the work *paraphernalia* I play the character, sister0 who, with her divination tools (sonic objects), has the extra sensory ability to pick up signals from people in other times and spaces. 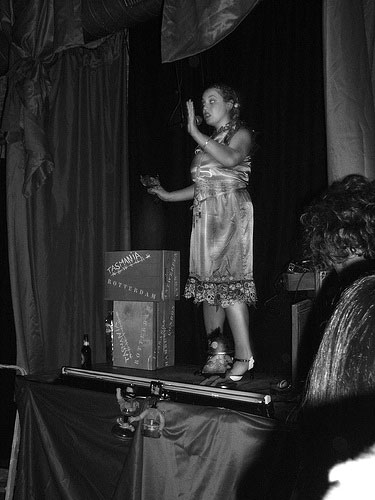 sister0's first appearance was in 2002's sister Outsider's Operation Manual for the Heart. The work depicts her initiation story where a recoding of the world occurs through the manipulation of a set of performance tools, creating a dynamic structure where audio can be modified, moved, and distorted. 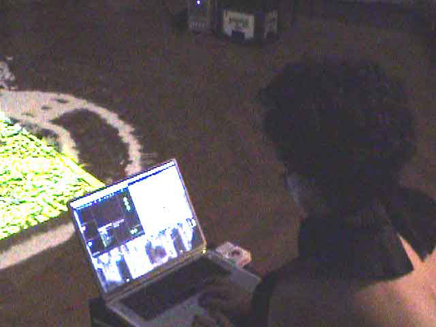 Here sister0 is weaving magic and divining rather than simply moving a mouse or pressing buttons on a controller unit, as is so commonly seen with laptop musicians or technicians. 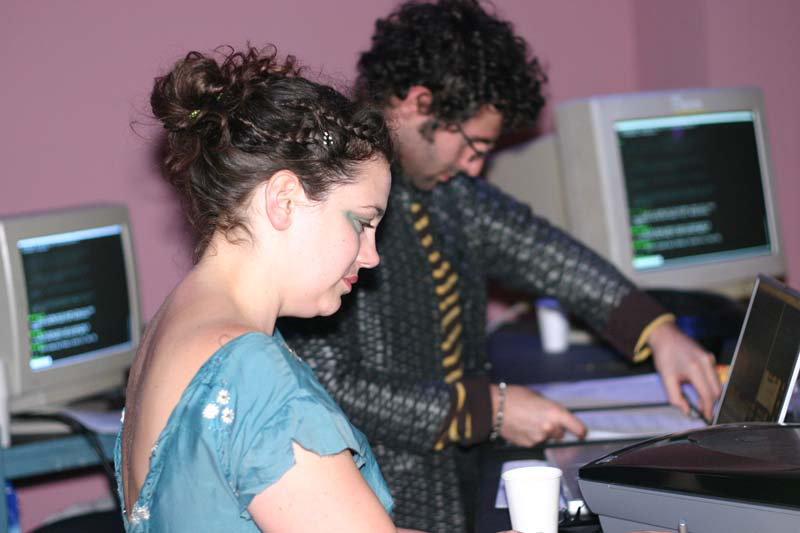 still of sister0 showing an early version of MediaDivination2.0 v2_institute for unstable media Rotterdam. Many of us who integrate electronic devises into our everyday lives are finding that this paraphernalia, gizmos and gadgets are open to modification to any person with a bit of ingenuity. One can link vernacular objects being used in alternative ways to the practice of improvising with instruments for folk music such as playing of; the spoons, saw with a fiddle bow, or percussion instruments such as the classic Australian larger-phone or tea-chest bass. 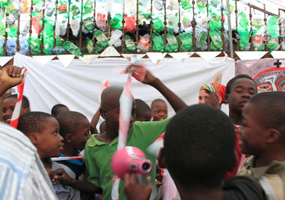 These were all made from ubiquitous domestic items. This process of modification isn't particularly new. However, my point here is the conviction that the craft of electronic performing arts must nourish the imagination rather than a set of predefined locked in strategies, as used by most proprietary vendors. This especially if we are to expect our audiences believe in the possibility of another world. 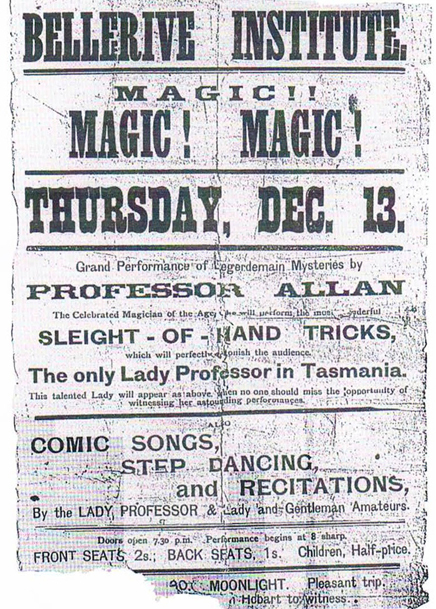 Great-great Grandmother poster from 1877 The Celebrated Magician of the Age, performed 'the most wonderful 'SLEIGHT - OF - HAND TRICKS' coupled with vaudevillian routines, who claimed herself to be the first Lady Professor in Tasmania. 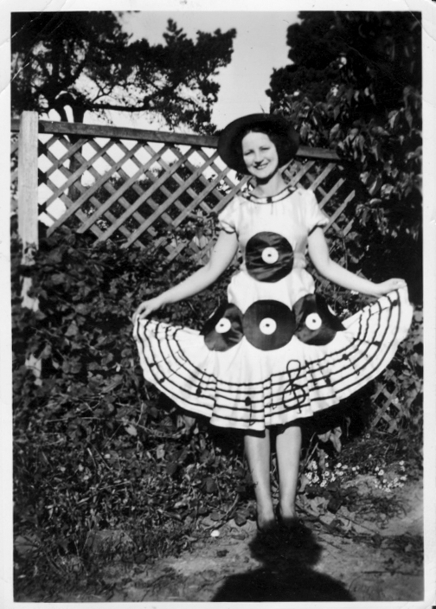 Grand Mother Madeline Flude (1924) dancer, showing off her radical vinyl dress. My thoughts about paraphernalia are inspired by the hacker legacy, a movement in which I hope my contributions to open a pathway for a larger proposal that asks; What are the ways in which an artist, a programmer, a media designer can engineer interfaces, including meaningful sets and settings for shared knowledge areas and experiential communication? That validate spaces for the circulation of subjugated knowledges outside the current context of a corporate-consumer perspective? Electronic movements, even though very powerful, have until this point been quite invisible. Aside from the popularization of the Internet itself since the 90s, participants had many personal reasons for the need for anonymity and in general had a lack of desire for association with such idolatry. A recent example is the now the vernacular name of 'Wikileaks' which runs on the Tor Project, we see in the mainstream media even magazine's like the Rolling Stone features articles on hackers as if they are the new genre of rock star. Not the mention that hacker movements are getting heavy exposure for opening up the net in conflict zones presently. At such a time its vital to share, not only the code, but the traditions and philosophies of the GNU Manifesto inspired projects. 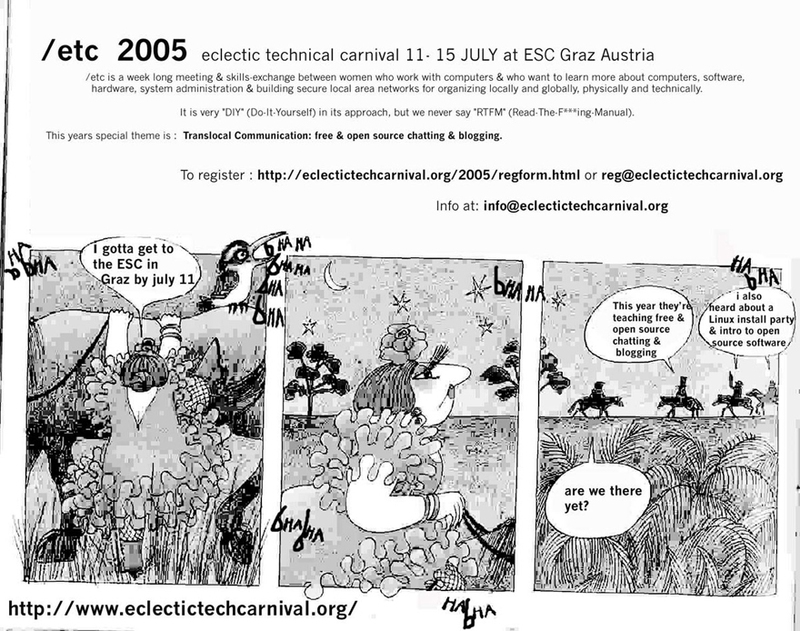 As an advocate of free software living in the southern hemisphere, (former co-developer of /etc ecletcic tech carnival and co-founder of the former moddr_ these collectives of artists who are forthright in strategies for regaining artistic control of the technology, who bring attention to the close connections between art, politics, technology and economy. We hosted educational workshops aimed at finding creative solution for interfaces and media in fine art. Aside from my art practice, now I am focused on a local level with a similar place as these former collectives, Miss Despoina's Hackspace in Tasmania, and I still contribute to international operations for dyne's hackers the FreeSoftware foundry. We must demystify hardware and software and assess with greater acumen the nature of proprietary systems that are presented to us as 'givens'. The ramshackle, the 'liveness', the ephemeral, the changeability, all of these are an imperiled way of being. It takes just a glance to see how people from many cultures, who enjoy a nomadic way of being in the world are continually persecuted. To transcend the boundaries given to me is my desire when I create something. I liken this process to the sewing of a series of patches on a quilt; this transcendence is a sort of mental 'intellectual' bricolage. The wish to create a smooth, slick product seems like the striving for an abstract model imposed by the expectations of alien modalities of thought. 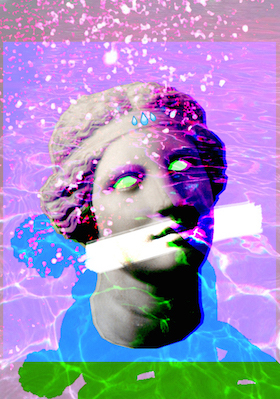 My interest in paraphernalia, code and artworks, is only aroused when I can relate the present to the most ancient past. On the shores of the new dark ages, where the shipwreck of globalism has cast us, I like to pick up pieces of the wreckage and play with them, at least until I find the wand of Cinderella's fairy God-Mother, (formerly known as Circe). 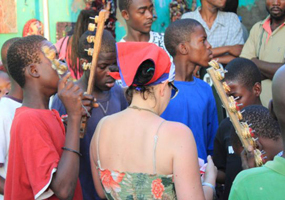 3 Vodou is the traditional spelling of the religion and culture of the Haitian people. For the purposes of this text I refer to general Vodou Culture, specifically the tradition having been practiced often in a subterfuge manner over long periods of time, hence its manifestation often in domestic appurtenances and paraphernalia. Its root geographic origins are African, Vodou (also related to Voodoo, Vodun, Voudou, Vaudoux, and Vaudon) refers to Afro-based magical practices and traditions of people whose convergence points are found in Southern United States and Caribbean Countries, not to discount other continents where its practitioners are present. I point only to the complexity of its history and practices but do not elaborate upon these here, evolving independently for centuries in isolated circumstances, gives to its syncretic nature, and inherent bifurcation and politics,is indeed another topic in itself. 4 The impromptu manner of the bricoleur is explained and widely acknowledged by Claude Levis-Strauss (1966). A particularly good explanation is in 'The Savage Mind'. 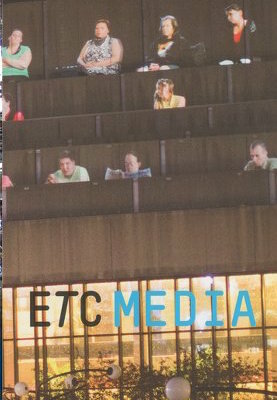 Chicago, IL: The University of Chicago Press. 5 There is also a nice article on dyne.org The Weaver Birds by Jaromil that reflects this sentiment. 6 Al-Khalidi, Alia, 'Emergent technologies in menstrual paraphernalia in mid-nineteenth-century Britain', Journal of Design History, Vol 14 No 4, 2001, pp 257-273. Nancy Mauro-Flude is a researcher, performing artist and freedom fighter. 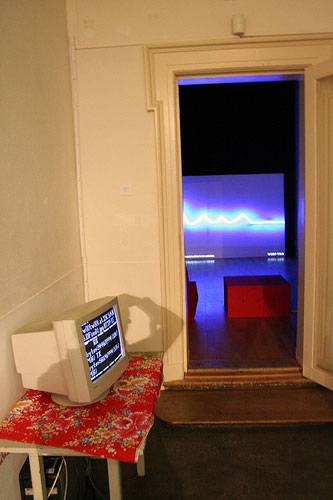 In a playful and speculative manner her work engages theatre machines, digital materiality, theories of embodiment and points to the current renaissance of computer hacker culture and the automaton in contemporary art. Besides her performance practice bends in from our fascinating and complex mortal world into the virtual dark and back again. She is a mother & a lecturer at the Tasmanian School of Art, University of Tasmania. 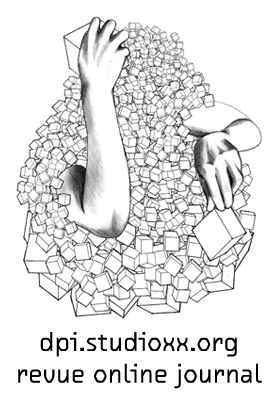 Awarded with an MFA in Networked Media & Design, Piet Zwart Inst. Willem de Kooning Academy, Rotterdam, she is an alumni of DasArts: advanced institute for performing arts, Amsterdam School of Art now known as Master of Theatre (2001-4). 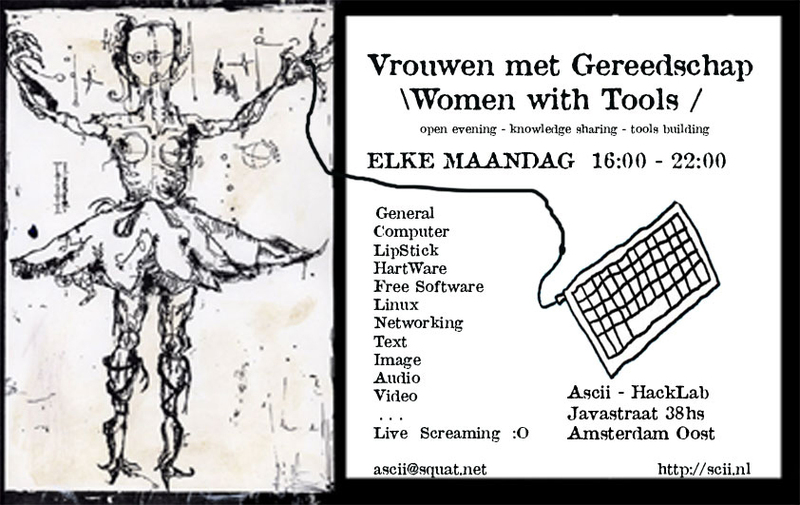 For a decade Nancy has been a key figure in projects that create & engage artistically with FreeSoftware tools co-founder of moddr.net, developer of /eclectic tech carnival, & Genderchangers.org tech skills share events. She has recently founded Miss Desponia's Hackspace in Hobart has the role of 'international relations & currency control' at Dyne.org the FreeSoftware foundary. She often contributes her research about this crossover in forums & publications & recommends everyone to read : FLOSS+Art (2008) London: Mute Publishing.